Odoo by Frontware - How can Odoo help on your business? Frontware provides Odoo integration services in order to allow you to improve your management. We are able to offer you several modules as financial, sale, marketing to integrate to your business. At Frontware, we support our customers throughout and after the integration. We pay attention to the services around Odoo in order to make your Odoo integration easier. We will suggest you specific training and maintenance services allowing you to manage the change as easy as possible. And either your business is big or small, Frontware will take the necessary time to analysis your needs and suggest the best integration. Frontware undertakes to provide you Odoo service during all the integration so that you are satisfied at 100% with the Odoo integration. Consulting realised by our team of consultants. After an analysis of your needs we will suggest you the best combination of modules. Customization of the integration by developing specific modules. Technical Support to solve your functional issues. 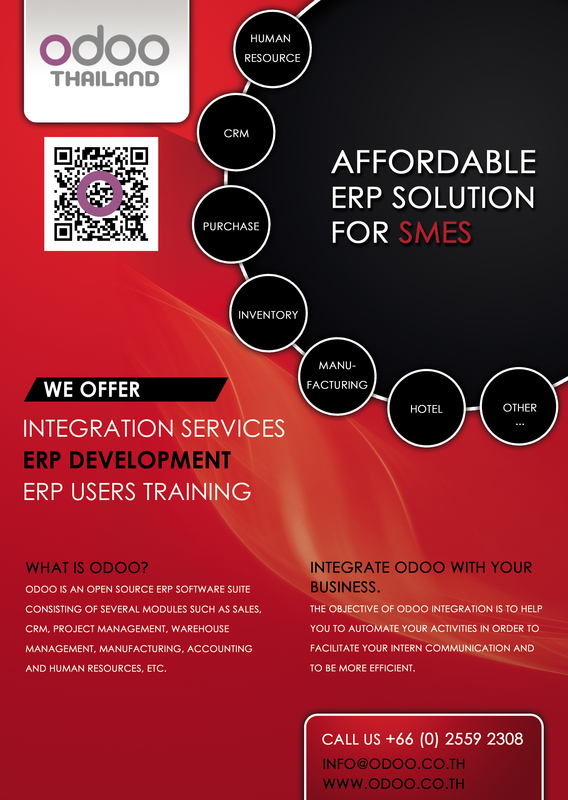 The distinctive features of Odoo are its ease of use.